बंदे में था दम, वंदे मातरम! 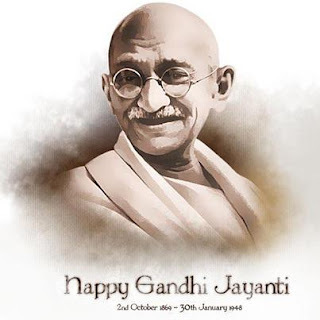 My fondest memory with Mahatma Gandhi is dated to the days when my Nani (grand mom) use to narrate me the story of her march with Mahatma Gandhi- Father of the nation. Over the years I feel that Bapu has some how confined into the pages of our school text books and those framed pictures within the mere confinement of those walls. His fragile frame has also been reduced to mere identification mark in our currencies which has become an antagonist to Gandhian philosophy. He was the one who lead the Apartheid movement in South Africa, the one who asked us to unite and fight against the British Govt. Even the world of glamour couldn't remain untouched from his aura. He came alive on big screen and became blockbuster hit with Lage Raho Munnabhai. Soon "Gandhigiri" became a rage only to be doused off at next big Bollywood hit. Today people talk about him but only to fuel up their political ambition- filled with greed, dishonesty, corruption and Coalgate! Hawala changed notes with Jalianwala, Salt march metamorphosed into Fodder scam, civil disobedience faded into power play, Apartheid movement took shape of Hindu Muslim divide, Charkha is replaced by Tommy Hilfigers of the world, Lathi is suppressed by Gun, Satyagraha is treated like chemical locha, Kashmir is making faces to Champaran & Kheda, Untouchables spelled vote bank, and Congress became Dynasty raj! We all carry him in our wallets but not in our hearts anymore. Gandhi bashing has become sport, fashion, a style statement, in vogue. Little do we realize that we need to amass only his positive traits and preaching and see the wonder it may do collectively. I pledge to remain true to my Gandhian value that I learnt in my school text book. Do you? Totally agree with each word there, Ekta! Nice post. Kudos to your mother for writing a factually correct and enlightening second half to the post. Very well said. Nowadays, Gandhi is in our wallets and lip service by a few political leaders. Today is also the birthday of another illustrious leader, Mr. Lal Bahadur Shastri. Let us remember both Mr. Gandhi and Mr. Shastri. Accha hai bapu aaj zinda nahin hein, warna hamare desh ki halat ko dekh k shayad ro padte. Yup well said! Maybe shayad woh koi koshish karte magar kaise? His own ppl do not!! Came across this recently, glad that you wrote about the "Gandhi bashing" thats going around. Airheads in this country will never understand what he was unfortunately and will keep coming out with new 'discoveries' that he was this, that etc. Thanks for writing this. Most welcome. Keep visiting my blog and tank u for ur comments.